Summer Mess Fest Kicks Off at SM City Masinag! I am the kind of mom who never really worries if my kids get to be messy after a play. After all, you're only a kid once. So let them be. I let them play outside and be dirty. I also believe that the kids learn and develop their skills on a messy play. And I am sure you'll agree with me that summer is the best time to let our kids' little hands busy. That is why let us embrace the mess this summer as SM City Masinag kicks off Summer Mess Fest! The Summer Mess Fest is a fun, outrageous and messy event for kids of any age. It is composed of different messy stations. A fun learning activity for the kids! They have a messy beach set up with playsets where you can create your own sand castles. This is where my twin boys really get to enjoy being messy to the fullest! Paint fun colors with your hands with non-toxic coloring materials and be ready to win the paint war! Test your strength to give your opponent a face full of whipped cream or slime and go on a flavor-filled adventure. A fun energetic dance party with a burst of colorful powder and giant bubbles. A 15-foot slide landing in bursting colorful balloons with water inside plus a chance to play water guns with friends. All the kids also got a chance to dance and party! Watch the dance here. Summer treats and surprises are up for grabs at the Messiest Bazaar for kids and parents alike. 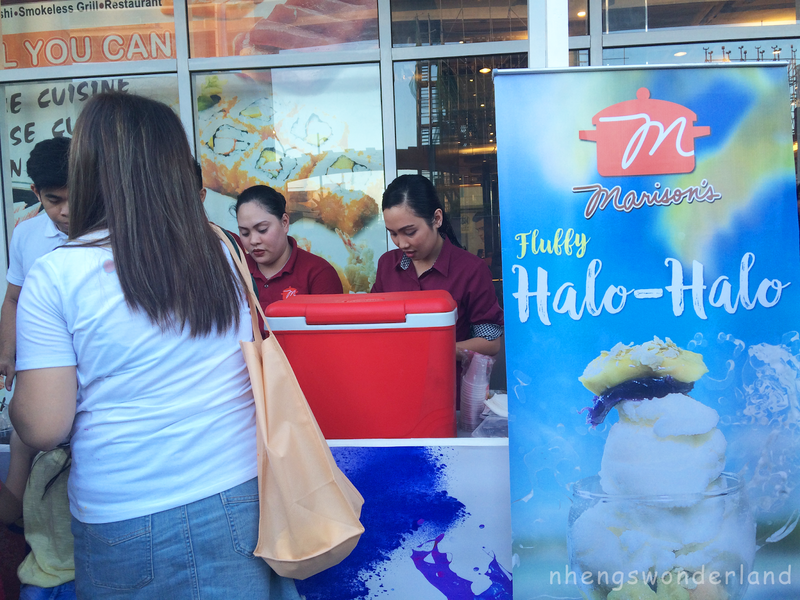 Marison's is also present at the event and provided FREE halo-halo and smoothie to the participants. Summer is definitely fun and messy! Don't forget to bring your kids to SM City Masinag tomorrow (April 29) for another messy and creative day. The Summer Mess Fest will make a stop at SM City Marikina on May 5 & 6 and at SM City San Mateo on May 12, 2018. Don't forget to bring extra clothes/swimwear (believe me, as there will be a lot of water splashes and colors), water shoes or sandals, sunblock, towel, and admission pass. It is one of the exciting events of SM Supermalls for Everyday is Playday at SM Campaign. See you all there!